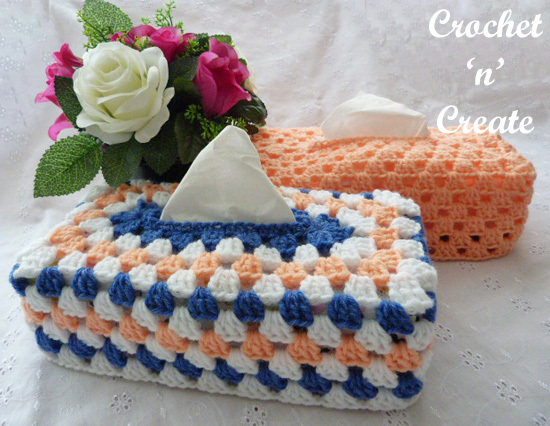 Crochet Granny Tissue Box Cover UK – Tissue box covers are lovely as gifts, make them for Christmas presents or to sell at the seasons craft fairs or bazaars, this one has been made in granny stitch and I have added to my collection. 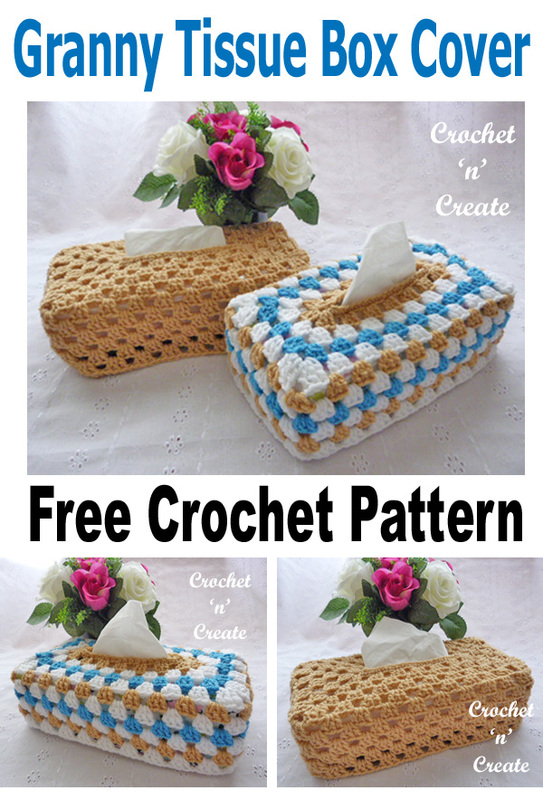 See also my first FREE tissue box cover pattern. 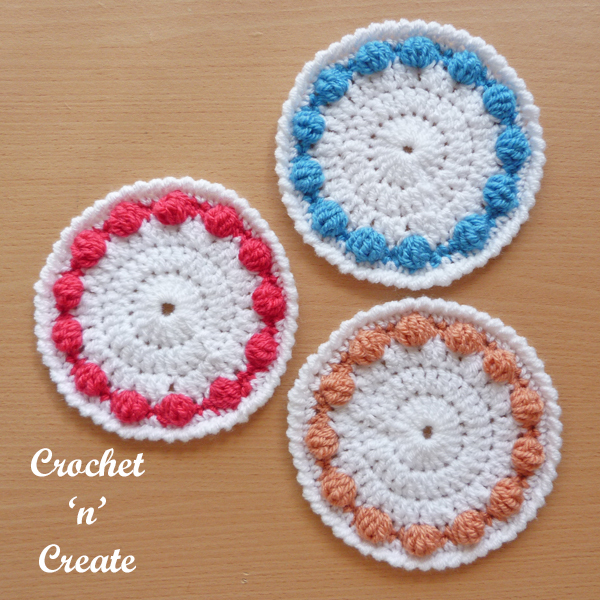 With colour 1 make 36ch loosely, ss to first ch to form a ring. 2nd Row – 3ch, (2tr, 3ch, 3tr, 3ch, 3tr) into base of 3ch, 1ch, * miss 2dc, 3tr into next dc, 1ch, * rpt from * to * 4 more times, miss 2dc, (3tr, 3ch, 3tr, 3ch, 3tr) into next dc, 1ch, rpt from * to * to last 2dc, miss dc’s, ss to top of 3ch on beginning of row. 3rd Row – ss colour 2 to first 3ch space, make 3ch, (2tr, 3ch, 3tr) into same space, 1ch, (3tr, 3ch, 3tr) into next 3ch space, 1ch, * work 3tr, 1ch into each of next 6, 1ch spaces, (3tr, 3ch, 3tr) into next 3ch space, 1ch, (3tr, 3ch, 3tr) into next 3ch space, 1ch, work 3tr, 1ch into each of next 6, 1ch spaces, ss to top of 3ch on beginning of row. 3tr, 1ch into each of next 7, 1ch spaces, (3tr, 3ch, 3tr) into next 3ch space, 1ch, 3tr into next 1ch space, 1ch, (3tr, 3ch, 3tr) into next 3ch space, 1ch, * 3tr, 1ch into each of next 7, 1ch spaces, ss to top of 3ch on beginning of row. 6th Row – ss colour 1 to first 3ch space, 3ch, 2tr into same space, 1ch, work 3tr, 1ch into each ch space to end, ss to top of 3ch on the beginning of row. Starting with colour 2 and ss to a 1ch space, rpt 6th Row alternating colours 1, 2 & 3 as before until 11 rows have been worked in all from beginning. 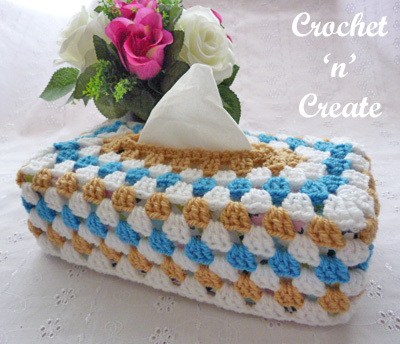 The written instructions and pictures for this crochet granny tissue box cover UK pattern are copyrighted to crochet ‘n’ create © 2018. 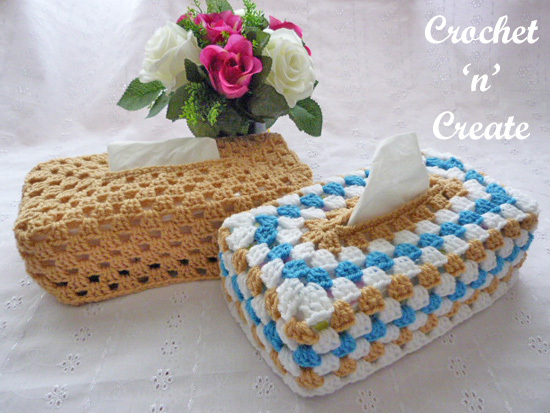 You are welcome to sell the finished products made from the free crochet granny tissue box cover UK pattern, I just ask that you use your own pictures and put a link back to crochet ‘n’ create. 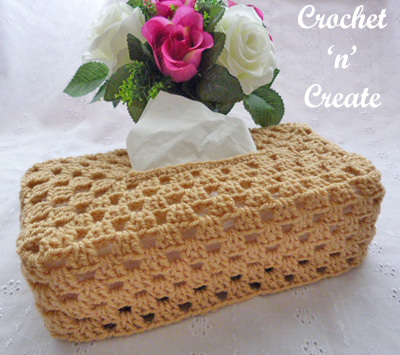 instructions for this crochet granny tissue box cover UK pattern. 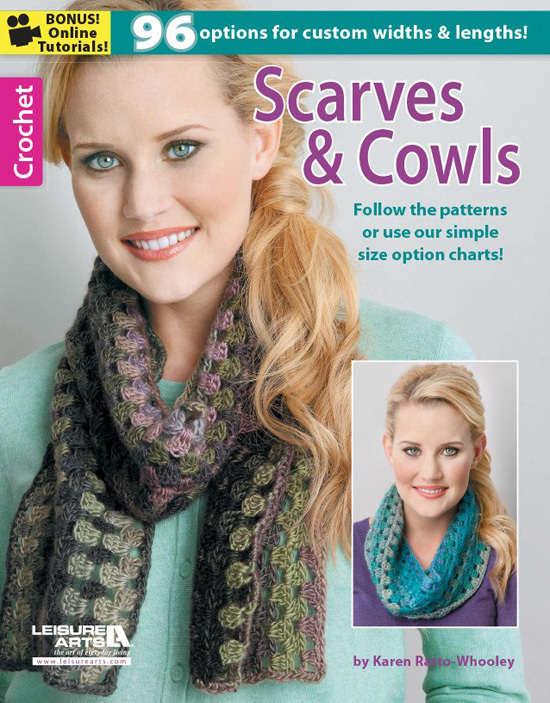 A copy of the crochet scarves-cowls book from Leisure Arts has been given to me as a sample to review, the opinions are my own and I have not been financially compensated in any way for this. 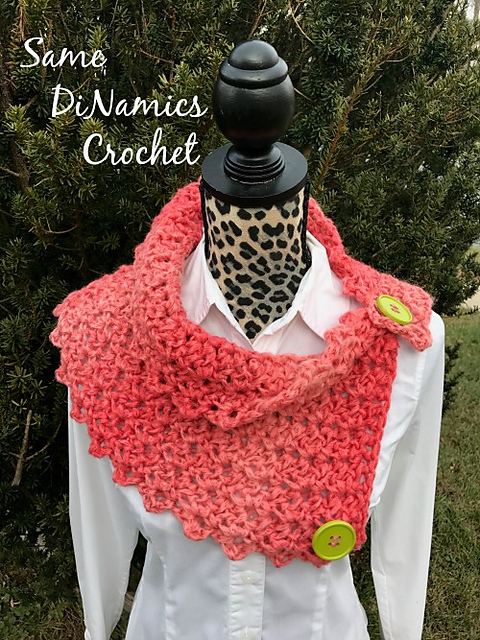 This entry was posted in crochet cowl, crochet scarves and tagged crochet, crochet cowl, crochet patterns, crochet scarf on 11th March 2018 by crochetncreate. 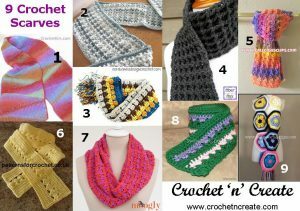 I’m sure you will find one you like and if you have yarn left over make one for a friend. 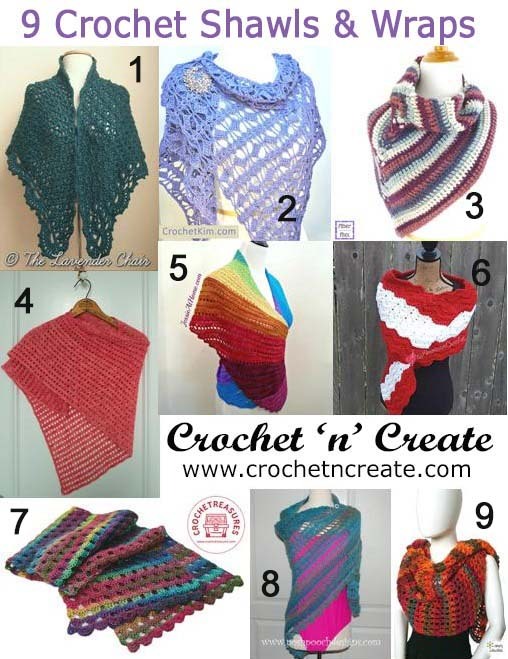 This entry was posted in Round Ups and tagged crochet, crochet patterns, crochet roundup, crochet scarf, free pattern on 13th January 2017 by crochetncreate. 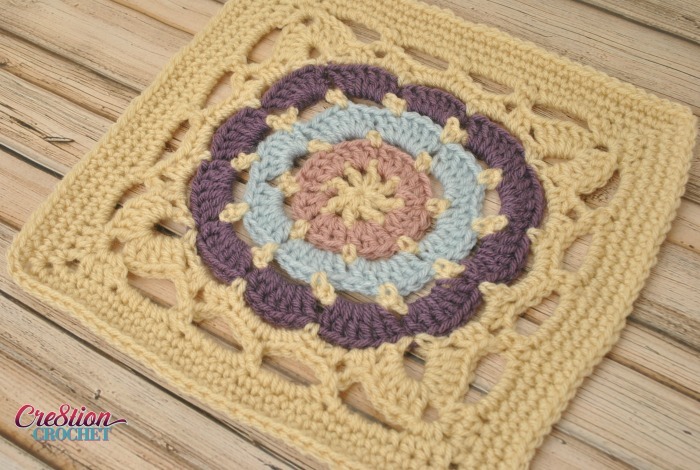 and quick to work up design. 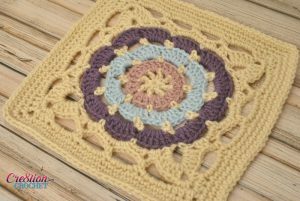 This entry was posted in crochet blanket, Free Crochet Pattern Finds, free crochet patterns and tagged crochet, crochet blanket, crochet granny square, crochet patterns, free crochet patterns on 8th January 2017 by crochetncreate. 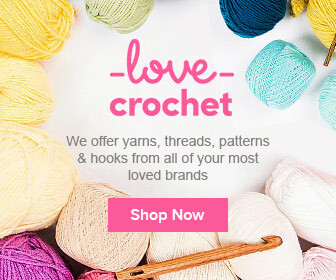 yarn to make, so it’s quick and cost effective. Hope you enjoy. 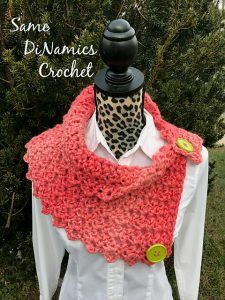 This entry was posted in Free Crochet Pattern Finds, free crochet patterns and tagged crochet, crochet cowl, crochet patterns, free crochet patterns on 7th January 2017 by crochetncreate. household items or just for doing the dishes, they have multiple uses. 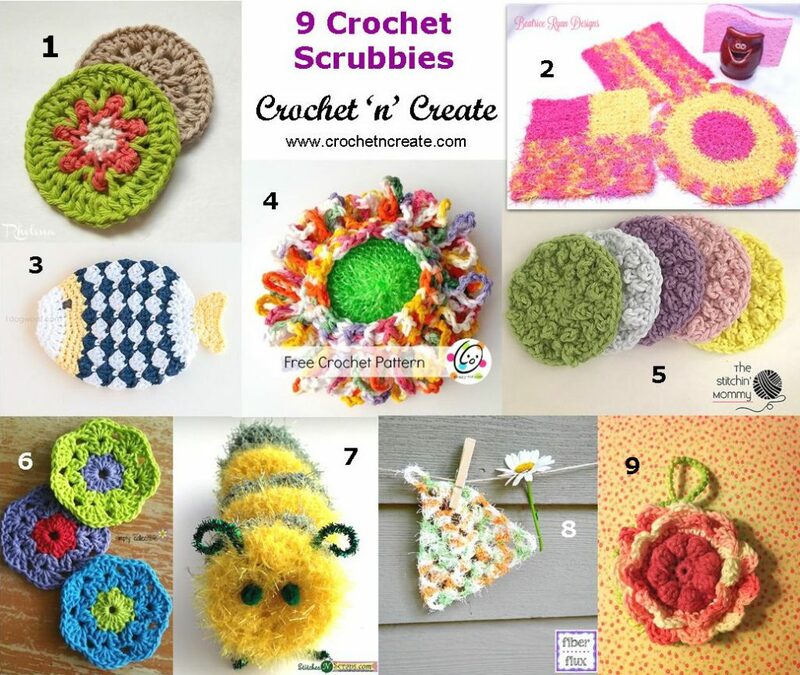 Can also be added to gift baskets for Easter, Birthdays etc. 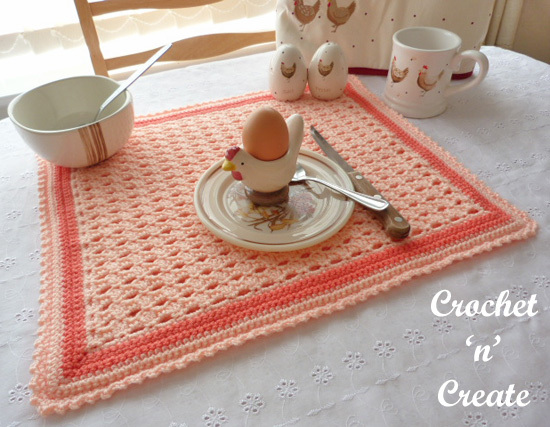 This entry was posted in Round Ups and tagged crochet, crochet for home, crochet patterns, crochet roundup, free crochet patterns on 6th January 2017 by crochetncreate.